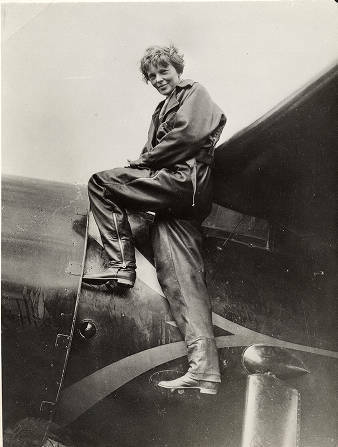 On January 11, 1935, Earhart became the first person to fly solo from Honolulu, Hawaii to Oakland, California. Although this transoceanic flight had been attempted by many others, most notably by the unfortunate participants in the 1927 Dole Air Race which had reversed the route, her trailblazing flight had been mainly routine, with no mechanical breakdowns. In her final hours, she even relaxed and listened to "the broadcast of the Metropolitan Opera from New York." In January 1935, Earhart became the first woman to make a solo long-distance flight over the Pacific Ocean, flying from Honolulu, Hawaii, to San Francisco, California. This complicated flight in her second Lockheed Vega occurred in adverse weather conditions and demonstrated Earhart's courage as well as her stubbornness. In the autumn of 1934, Amelia announced to George that her next venture would be a trans-Pacific flight from Hawaii to California...and then on to Washington D.C. Ten pilots had already lost their lives attempting this crossing. 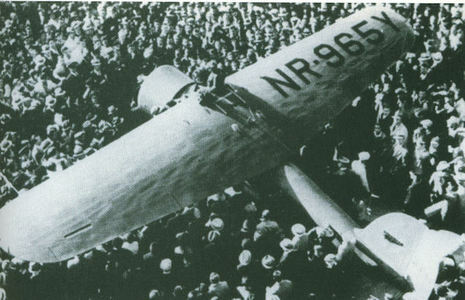 Amelia's flight would be the first in which a civilian plane would carry a two-way radio telephone. She departed Wheeler Field on January 11, 1935 and landed in Oakland, California to a cheering crowd of thousands. President Roosevelt sent his congratulations..."You have scored again...(and) shown even the "doubting Thomases" that aviation is a science which cannot be limited to men only."